I had grand plans for productivity this weekend. And while I was, in fact, extremely productive, it was on none of the things I had really wanted to be productive on. I spent some 15 hours this weekend working on the moth guide manuscript edits… but more on that tomorrow (hopefully). At some point, I keep telling myself, life is going to calm down a little again and I can resume my normal routine. In the meantime, some photos. 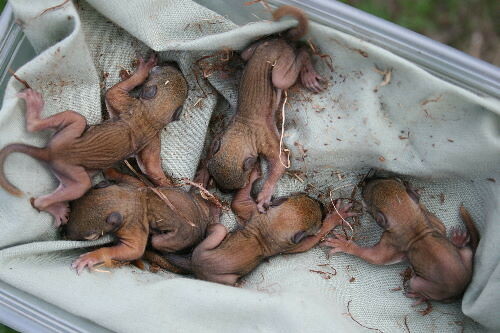 On Friday I returned to the nestbox in our garden to check up on the baby Red Squirrels. They’ve grown a lot since my last check and are now covered in recognizable fur. You can even see the dark stripes along their flanks. Their eyes aren’t open yet, though, and their noses are still very underdeveloped (or overdeveloped, depending on your point of view). They’ve still got a bit of growing to do before they’re going anywhere. This time I pulled them all out of the nest to see how many there were, and of what sexes. There were five: three females and two males. The individual I took the single photos of is a little girl. Precious little ones! Thanks for sharing. 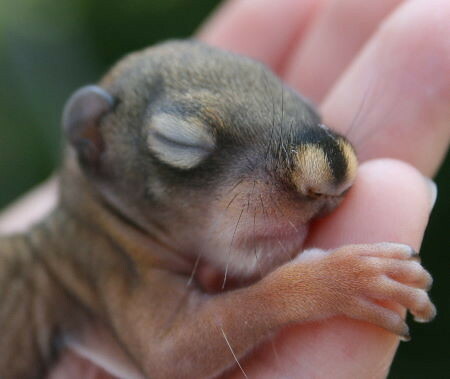 We again (finally) have red squirrels returning, many years after a bad neighbor shot every one he saw–happily, he isn’t living next door any longer. 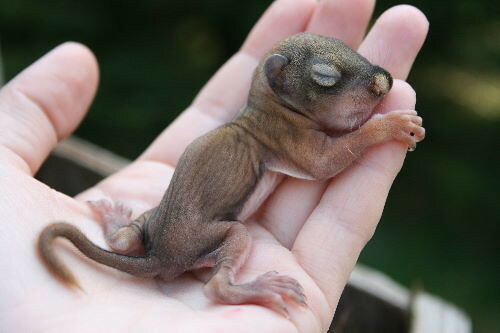 They can be destructive of bird houses and feeders, but I love the little guys.